Renting a bicycle for your Outer Banks vacation is easy with us! We have the widest variety of bicycle rental options in the Outer Banks. Our comfortable beach cruisers, in options for both men and women, will surprise you with their comfortable ride. We also have hybrid bicycles available for rent. Our kids bicycles are available in both boys and girls styles and come in two sizes, with a 20″ or 24″ frame, depending on the size of your young bike rider! All of our rental bikes come in a variety of fun color options. Unfortunately, we can not guarantee your rental bicycle color for delivery, but you are welcome to stop by our Nags Head or Corolla, Outer Banks, store location to select from what’s available. If you just want a bicycle to ride around Nags Head or Corolla for the day, check out our daily rental options. Select an item to reserve today! Daily bicycle rental options are for a 24-hour period. Enjoy the laid back comfort of a beach cruiser for the day! These bicycles are a great balance of performance and comfort. We have 20″ and 24″ boys and girls bicycles to choose from! Enjoy a bicycle made for two! Use a kiddy kart to bring the young one with you! Use a pull-behind bike to bring your kid for a bike ride too! If you’re looking for a bicycle for your entire Outer Banks vacation week, check out or weekly bicycle rental options. Select an item to reserve today! 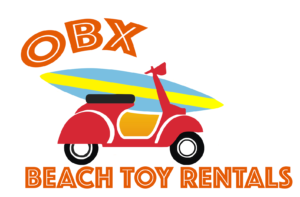 Free delivery available for 2 or more weekly bike rentals to your Nags Head, Kill Devil Hills, Kitty Hawk, Pirate’s Cove or Corolla rental home. Enjoy the laid back comfort of a beach cruiser for the entire week! These bicycles provide a perfect balance of performance and comfort. Pull-behind bicycle to bring your kid along for the bicycle ride!